VATICAN CITY (CNS) — Italian journalist and author Gianluigi Nuzzi did not plot the release of leaked Vatican financial documents with another journalist and was well within his rights to publish the information he received from a Spanish monsignor, a defense witness told a Vatican court. “I would not have hesitated to publish” the documents, said Paolo Mieli, the former editor-in-chief of the Italian newspaper Corriere della Sera. He testified at the criminal trial in the Vatican May 7. Nuzzi, author of “Merchants in the Temple,” and Emiliano Fittipaldi, author of “Avarice,” are charged with soliciting the documents and exercising pressure on the other defendants, especially Msgr. Lucio Vallejo Balda, secretary of the Prefecture for the Economic Affairs of the Holy See. The monsignor, Nicola Maio, the monsignor’s former assistant, and Francesca Chaouqui, a member of the former Pontifical Commission for Reference on the Economic-Administrative Structure of the Holy See, also are on trial, charged with “divulging news and documents concerning fundamental interests” of the Vatican. 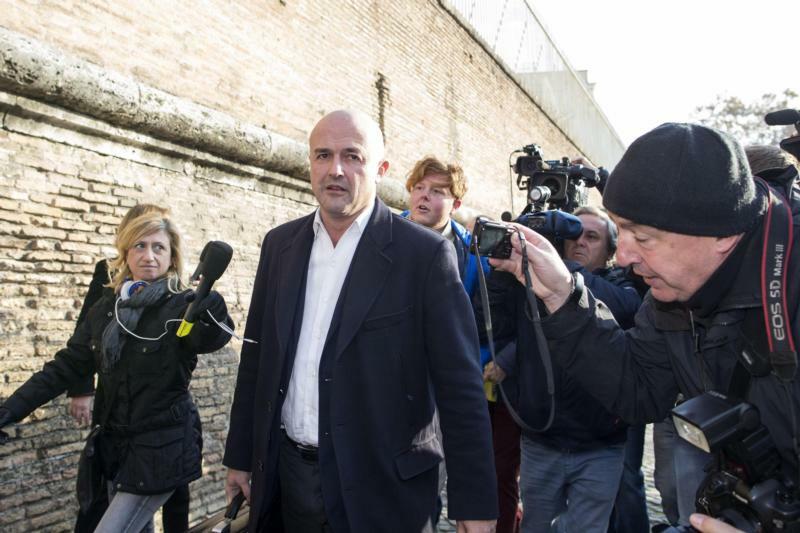 Mieli, along with literary agents Marco Bernardi and Paola Brazzale, were brought in as defense witnesses to testify on Nuzzi’s behalf regarding the events leading up to the publishing of his book on the work of the Vatican’s financial reform commission. Although publishing confidential documents is a punishable crime in Vatican City State, Mieli said he believed there should be “no limits” on releasing such documents “as long as they do not undermine values such as the peace or security” of the Vatican. “Therefore, it is wiser, as well as honest, to publish the documents,” Mieli said. “I am glad that (Paolo) Mieli reiterated the freedom of the press that exists in every European country. Hiding that (would seem as if it were) part of a plea bargain,” Nuzzi told journalists after the trial. Nuzzi also said “it was important” the literary agents testified that neither Nuzzi or Fittipaldi were aware of each other’s work. “It is pointless for the prosecutor to talk about a joint plan or complicit activity, which could only happen if two people knew each other — unless we add telepathy to the list of crimes,” he said.